“I had an issue with breathing for around 18 months, finding it hard to draw a deep breath; I had been to see 2 high-level sports physicians, countless physios and a breathing specialist at the hospital. My wife booked into see Allan for a pregnancy Pilates session and I thought I would give it a shot….nothing else had worked. Within 6 months, Allan had managed to assess, diagnose and treat the issue, which was a postural and muscular tightness problem. I see Allan once-to-twice a week and now I can not only breathe more freely but am back playing soccer and living a happy life again!!! The man is a genius!! 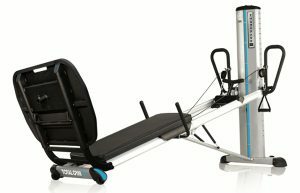 Gyrotonics and Encompass PowerTower also available at the Pilates Studio!! 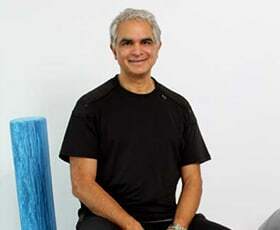 Bio ALLAN MENEZES The first person to teach Pilates in Australia and the southern hemisphere. Specializing in Back and Neck Pain, Athletes, couch potatoes and anyone 9 to 90 years old! We are also specialists in assisting in the rehabilitation of back, knee, shoulder, hip and other problems and have been doing this since 1986.
e.g. 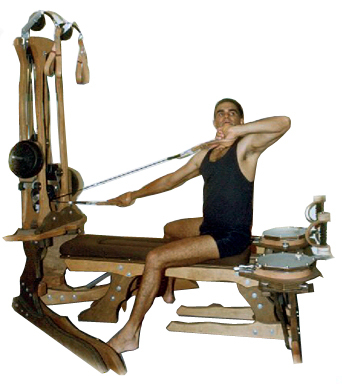 We use the B-Line (not ‘navel to spine’), Stable Spine (as opposed to Neutral Spine), The Performer – a new concept in rotational movement using the Pilates reformer, etc. etc. Our Goal – is to combine our expertise and vast experience to produce RESULTS, giving you and effective ‘whole body’ for better quality of life. We believe that every exercise must have a functional purpose. If it doesn’t – we don’t teach it! 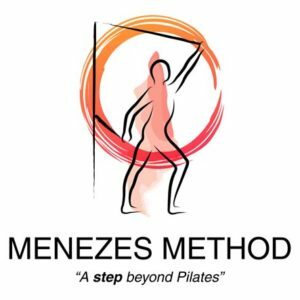 Based on Joseph Pilates concepts of Contrology, we aim to improve you movement and , thereby, your mental control over what you are capable of achieving. How long should you attend? After your initial consultation, we recommend that you attend 2 to 3 times a week for 2-3 months in order to gain the most benefit and see, and feel, the changes! If we can get you 20% better in 6 months, this is usually more than others have achieved. We usually exceed this target! Investment. See below for investment specials. There are a maximum of 5 people in the class at any one time. ALL SESSIONS ARE BY APPOINTMENT. There are no ‘group’ sessions. Although there are others in the studio, you are doing your own program, under supervision, that has been organised in your initial private consultation (1.5 hours) . Each session is 1 hour long and we spend extra time on the importance of stretching before you commence your workout. An initial consultation and assessment by our qualified expert is required by all. The session assesses all past physical issues and current strengths, weaknesses, mobility and posture. We then organize your progressive program around this. Snug fitting clothing (gym wear). Men please wear bike shorts or similar. Please bring a bottle of water and a towel to lie on. Gym Shoes are NOT required – a clean pair of socks is essential. FOR ALL ENQUIRIES and to make an initial consultation, please call Allan Menezes on 0419 333 600. Pay for 10 or 20 semi-individual sessions at your initial consultation and receive the initial consultation for $100 (SAVE $50)! All sessions are by appointment. The above offer is only valid for new clients. Limited time only Not available with any other offers or discounts. One to One Private session – 1.5 hours must be completed by all new clients. When you renew your 10 sessions prior to the expiry of the last session, the renewal rate is $600, saving $50. 20 SESSIONS – $850 – Must attend twice a week. Payment by cash or cheque only or bank transfer. Sorry no electronic facilities available. Please state your name as the reference. All sessions are by appointment only and subject to bookings made. Please call Allan 0419 333 600 for your initial consultation. (between Bertram and Neridah), one block from the police station. An initial consultation is required for all attendees to the Pilates Studio in Chatswood. Please call 0419 333 600 to make your initial consultation.